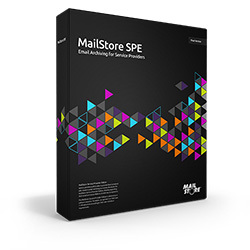 MailStore Cloud Edition Beta 2 is now available for all registered service providers as a free download only. After the first beta version has been downloaded and tested by more than 1,000 registered service providers around the world, this version contains several new features that are based on their feedback of the first beta version. Generic LDAP directory service synchronization now allows optional group filters and provides a groups browser. Additionally Base-DN auto-detection, Base-DN browser and support for Exchange’s “proxyAddresses” format has been implemented. Active Directory synchronization allows to specify format of user name (e.g. UserPrincipalName). We would like to thank all partners for their support and our development team is looking forward to further feedback. Register today for free as a service provider and sign up to become a beta tester.